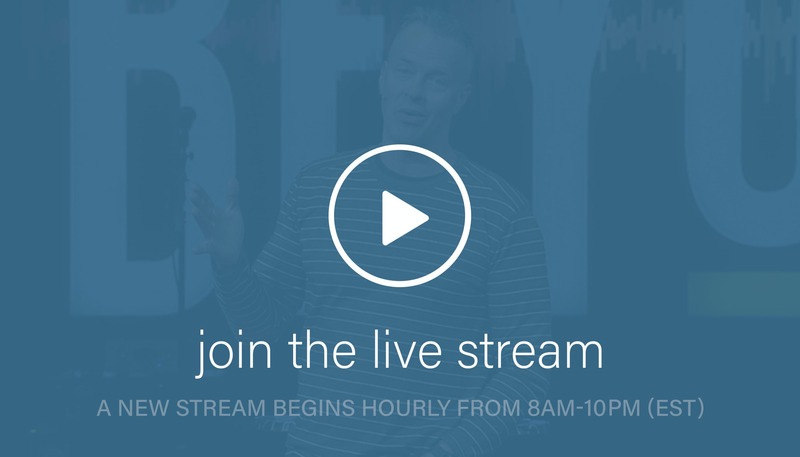 Join the live stream hourly, on the hour, from 8am-10pm (EST). You look great. Jeans are fine. Bring the kids. After each service this weekend (April 27-28), join us in the atrium for craft beer and wings with West Side Brewery on Saturday and donuts from Busken Bakery on Sunday. Prayer class open to anyone wanting to improve prayer skills and gain a deeper understanding of how we talk to God. Leadercast Live is the largest one-day leadership event in the world, broadcast live each year from Atlanta to hundreds of Host Sites around the globe. Lunch included. Get your tickets here. We’re starting a six-week onsite group for MSM students, 6-8th grade. These groups will focus on students growing in community and in their relationship with God. RSVP here. Were you recently baptized or are you in a new relationship with God and are now wondering what’s next? Join us for a 5-week study that will help you understand your new connection with God and have all of your questions answered. Chaser Groups are the easiest ways to meet new people and make this place feel smaller. All you need to do is watch the weekend message, then show up to our onsite group on Wednesdays at 6:30pm in the 3rd–5th Grade Classroom or find another group time that works for you here. Perfect for: Any entrepreneur, artist, business owner, or any leader interested in launching something new, and looking for a community to support their vision. Onsite Groups connect people in similar life stages like young adults or moms, or around a topic like body image, overcoming addiction, or understanding the Bible. See what Groups are happening now and sign up here. Onsite Chaser Groups are the easiest ways to meet new people and make this place feel smaller. All you need to do is watch the weekend message, then show up! Kid’s Club kiddos and their families are invited to join us in packing backpacks with food for children in Madison County. Come participate in this opportunity to volunteer for those in need in a fun, tangible way. Just show up or get more info here. Doing life alone is no fun. In fact, people are made to be with people. You have a lot of interests so it’s a good thing there are a lot of groups for you to check out. Find a group here. Be a blessing around your city and sign up to volunteer on the Crossroads Coffee Truck! Find the group that is right for you or start a group of your own! You don’t have to be a spiritual guru, just interested in following God or helping others do the same. We are here to pray for you, email us at prayer@crossroads.net and someone from our team will pray for you. Throughout the week, we set aside time to pray for the things happening in and around the Crossroads Florence community. You're welcome to join us. For all current and aspiring Oakley group leaders. RSVP to hear rotating speakers and topics meant to encourage, equip, and engage you as a group leader. We believe that everyone has the potential to be great. Whether a musician or technician, you’ll get reps on our stages with our gear and training from our team. Learn more and sign up. We made this place for our friends who had given up on church but not on God. If you like Crossroads, share it with your friends and family!